Jack Tyrrell and Company is one of the best and top real estate agents in Honolulu, Hawaii. While real estate is one of his passions, he is also very passionate about his community. 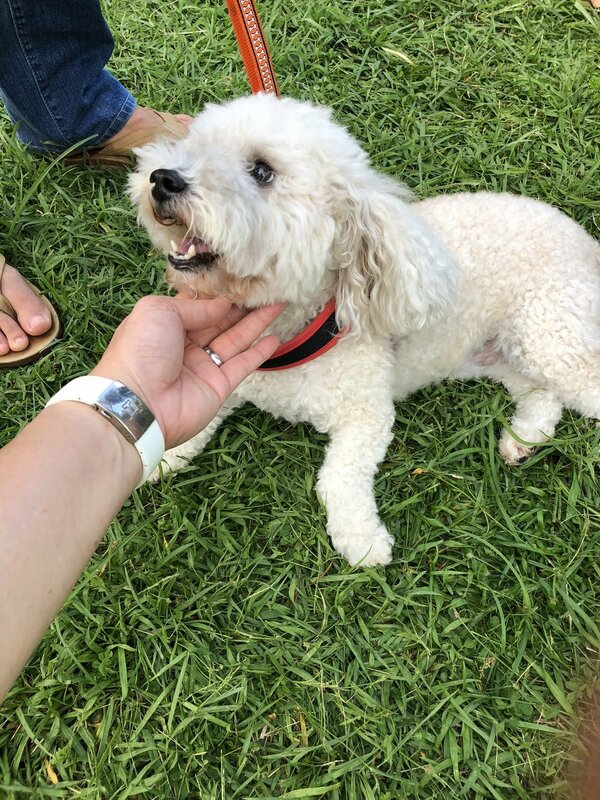 He is involved in the City Affairs Committee, Honolulu Board of REALTORS® , and he and his wife May are proud sponsors of the Hawaiian Humane Society Petwalk. 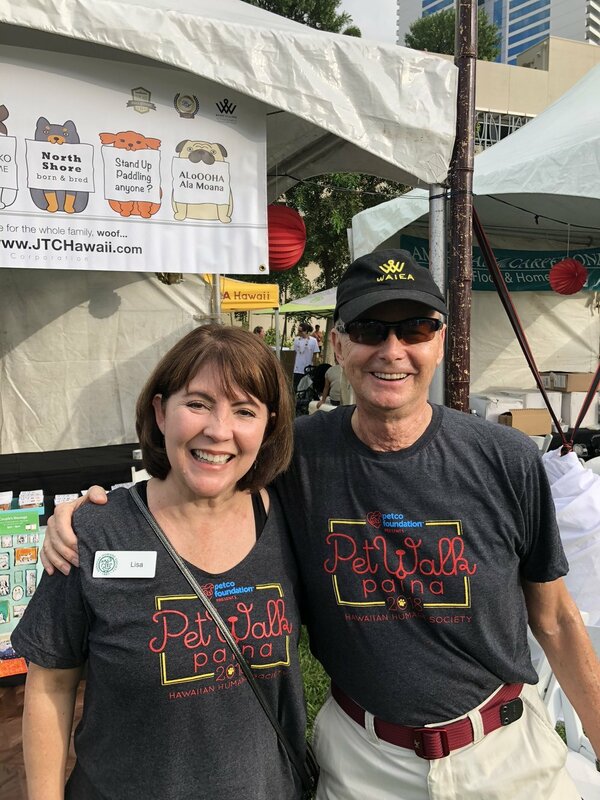 Jack Tyrrell & Company and Rainee Barkhorn Charitable Foundation were happy to support the Hawaiian Humane Society's 2018 PetWalk Paina as a “Pack Leader” sponsor! 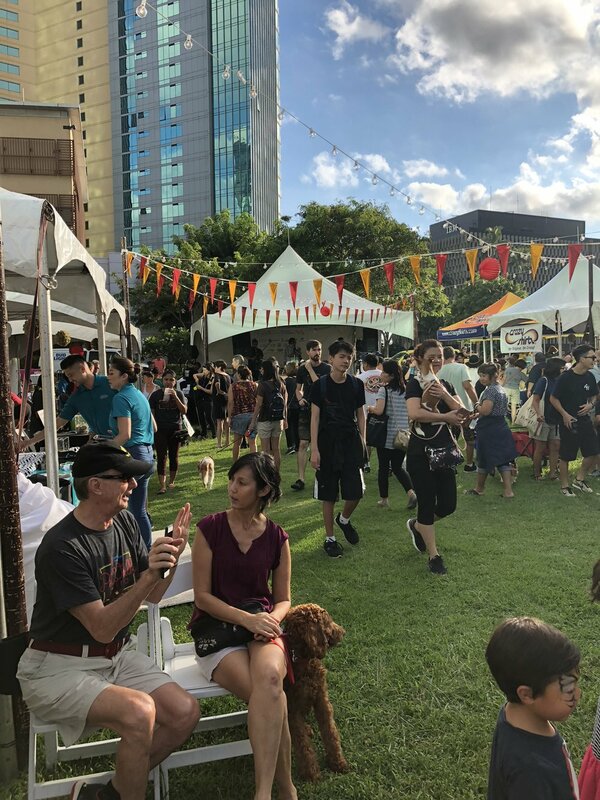 This was the first year that the event was held at its new location, Kolowalu Park in Ward Village. 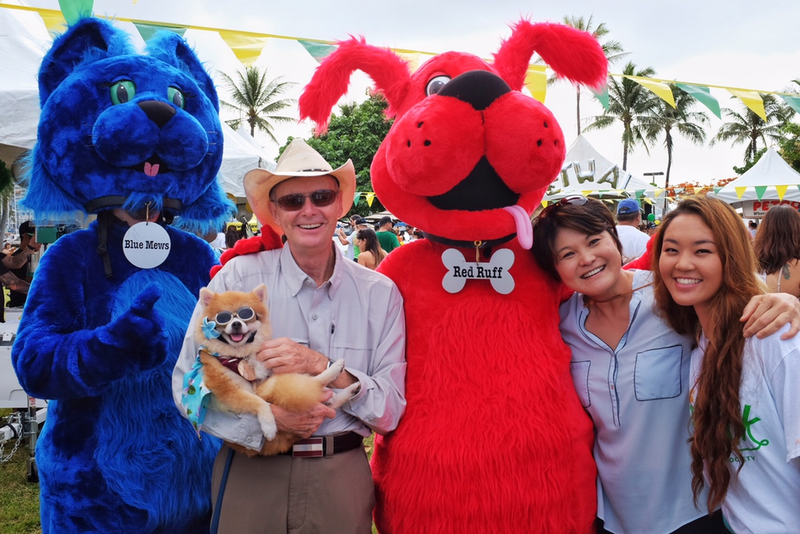 The event featured a walk around Ward Village, live entertainment, local food options and the pet costume contest! 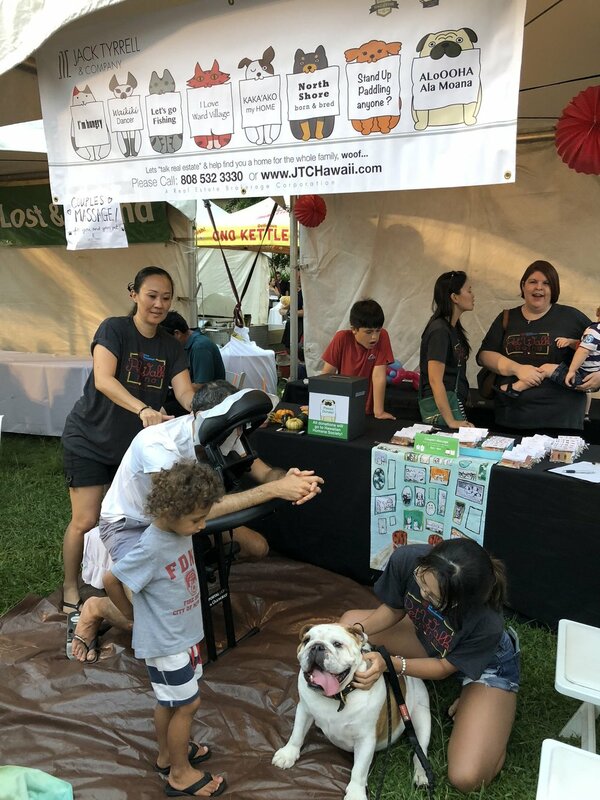 During the event, attendees were welcome to enjoy a “Couple’s Massage” with their dog at our Jack Tyrrell & Company and Rainee Barkhorn Charitable Foundation sponsored tent. 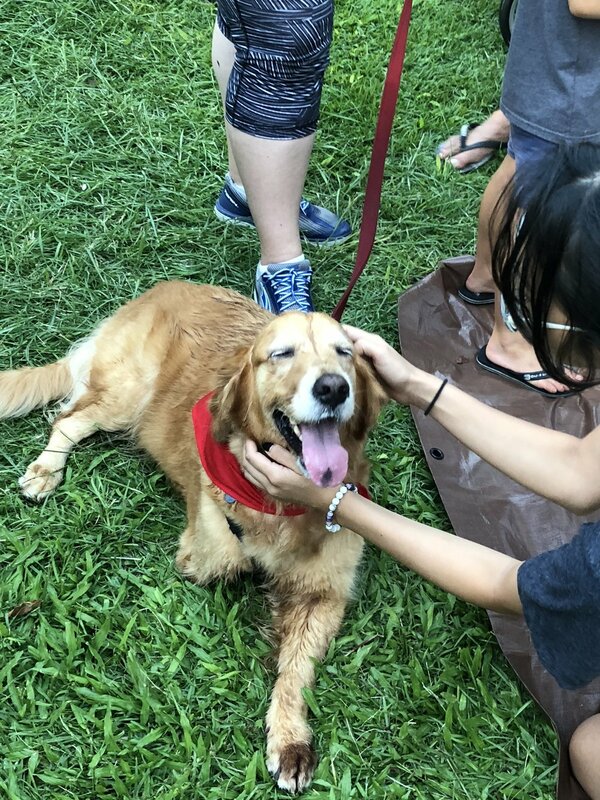 Once again, our favorite masseuse, Barri Sarribay, offered a massage while pets were treated to lots of loving hugs and kisses. A huge mahalo to our wonderful friends and clients for stopping by with your pets to enjoy the massage while supporting a great cause. We are happy to contribute in raising funds directly benefiting the Hawaiian Humane Society's programs and forward to next year's walk! 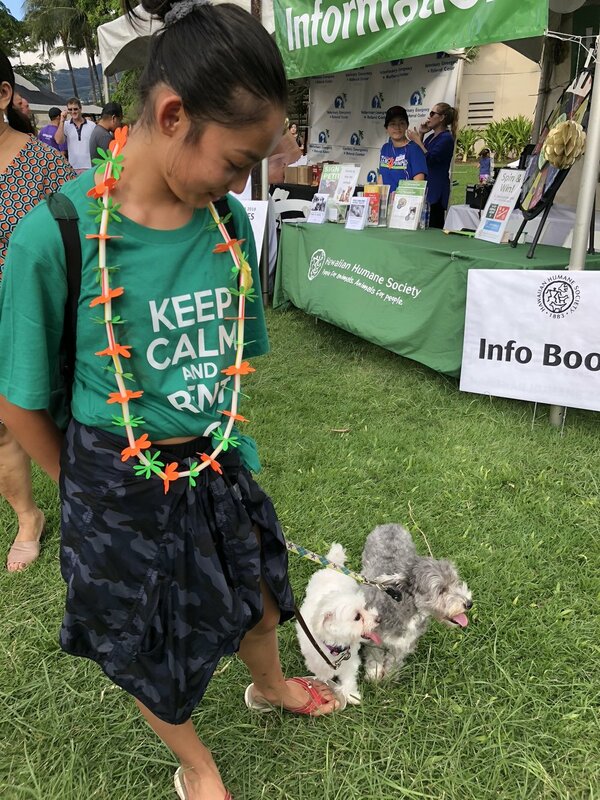 Jack Tyrrell and Company through the Rainee Barkhorn Charitable Foundation was happy to once again support the Hawaiian Humane Society's 2017 Petwalk as a "Pack Leader" sponsor! 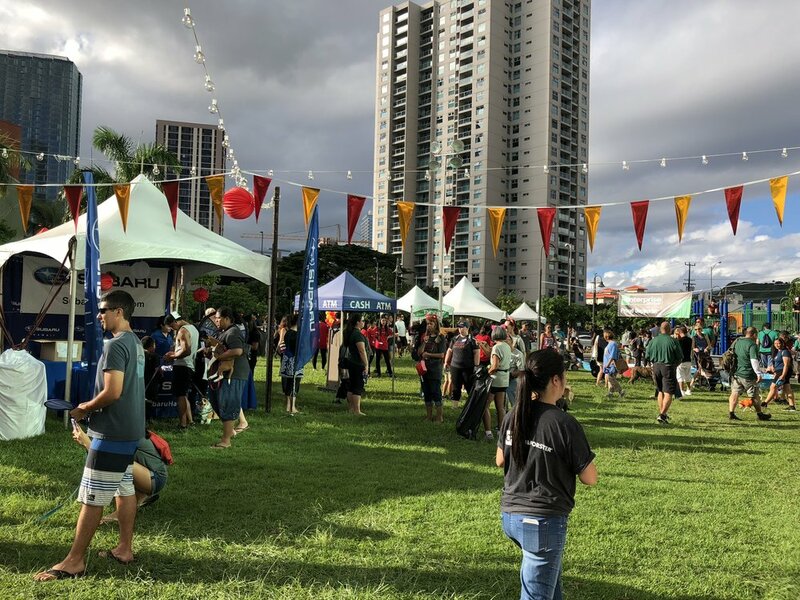 The event was once again held at Magic Island at Ala Moana Beach Park. 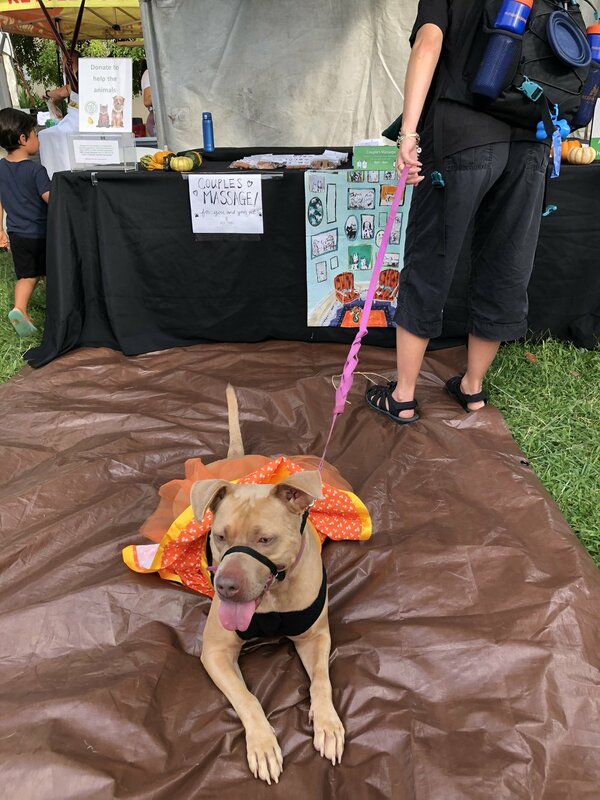 The event features a walk around Magic Island, a costume contest, and a pet float parade, featuring local pet celebrities, like Hokulani. 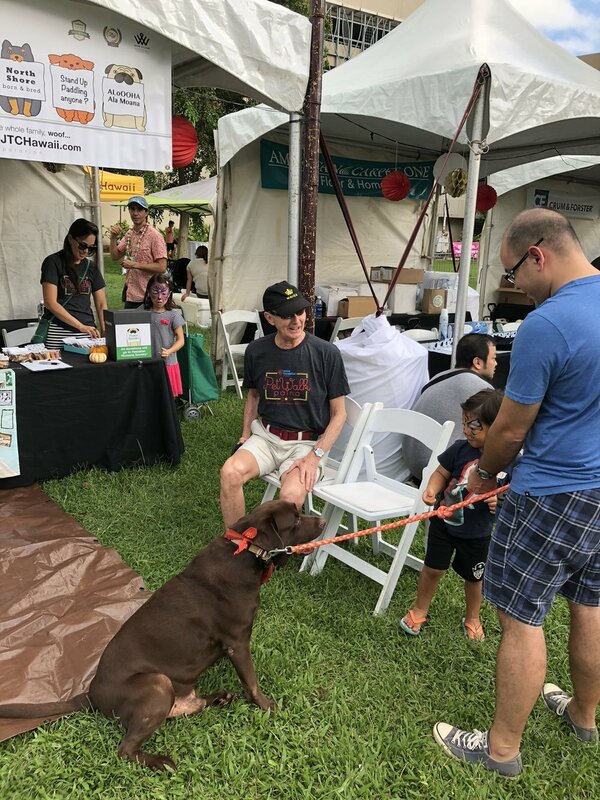 We were excited to spend the day at the Jack Tyrrell and Rainee Barkhorn Charitable Foundation-sponsored Pet Reiki tent. 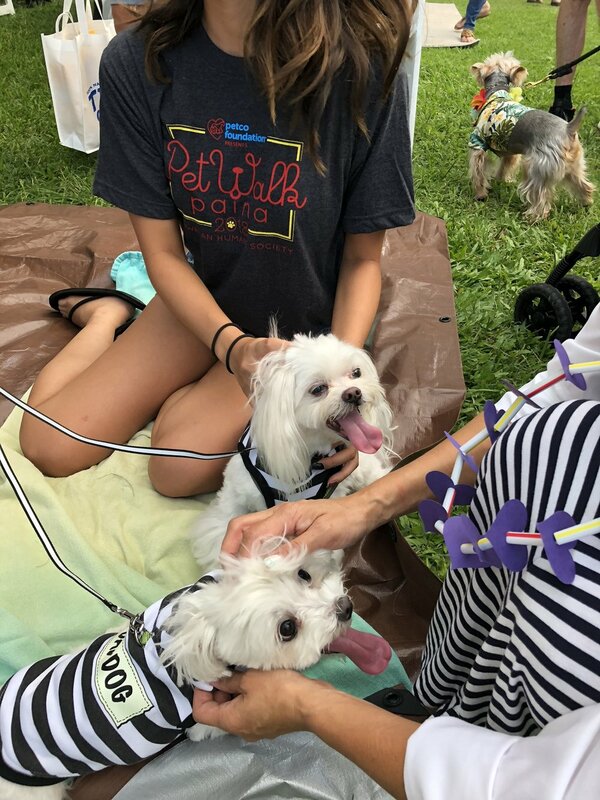 A huge mahalo to our wonderful friends and clients for stopping by with your pets to talk story and take part in a healing moment for your pets. We were once again able to raise money directly benefiting the Hawaiian Humane Society's programs, and we look forward to next year's walk. Team JTC with our friends at First American Title! 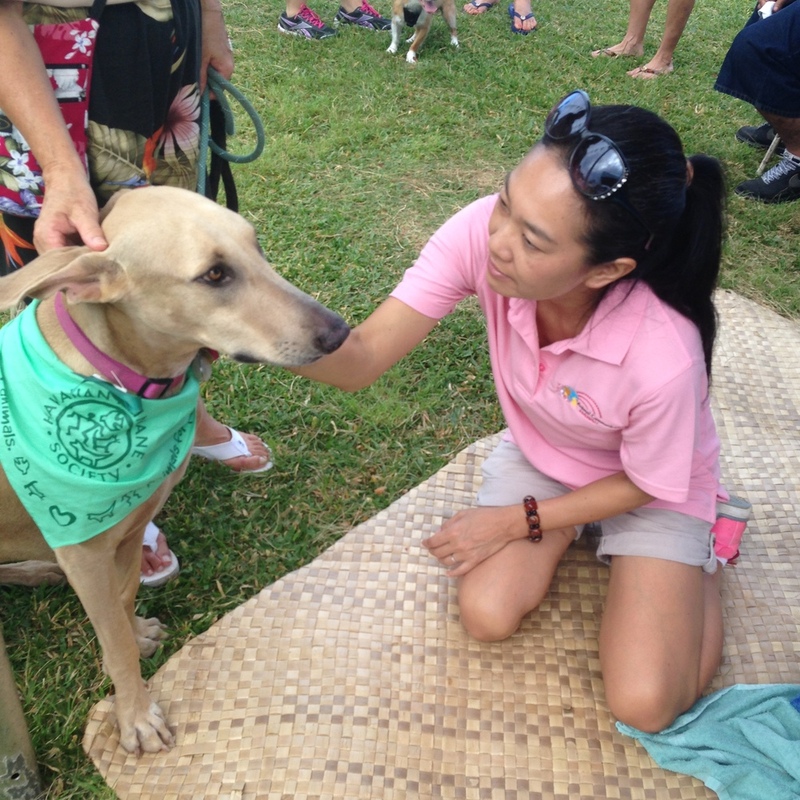 Team Jack Tyrrell and Company had a wonderful time at the Hawaiian Humane Society's 2015 Petwalk! 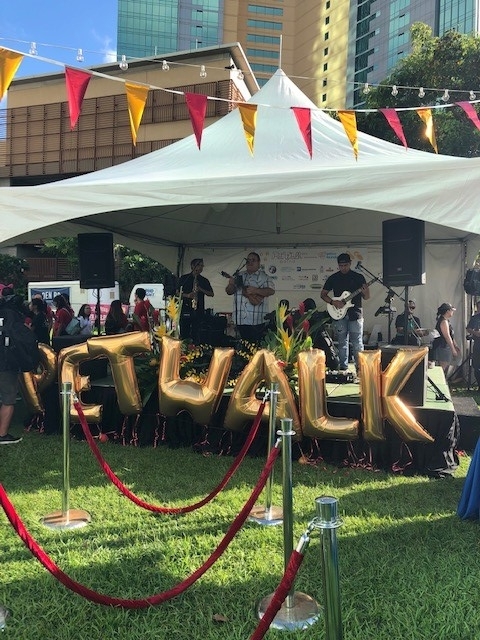 The Petwalk is one of the biggest events and fundraisers Hawaiian Humane Society has hosted yearly for the past 25 years, and takes place at Magic Island at Ala Moana Beach Park. 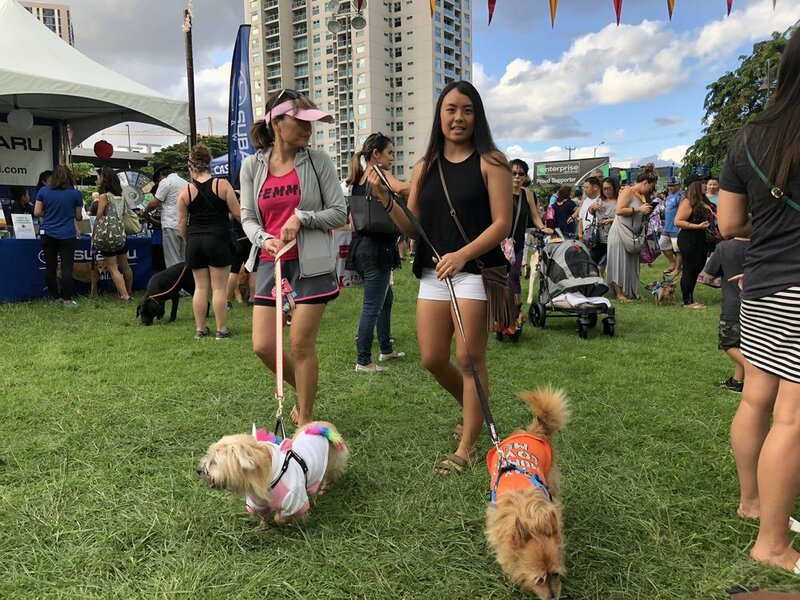 The event features a walk around Magic Island, a costume contest, and a pet float parade, featuring local pet celebrities, like Hokulani. We were excited to spend the day at the Jack Tyrrell and Rainee Barkhorn Charitable Foundation-sponsored "Couple's Massage" tent. Owner and pet could take a rest after the walk around Magic Island and receive luxurious massage treatments right there! 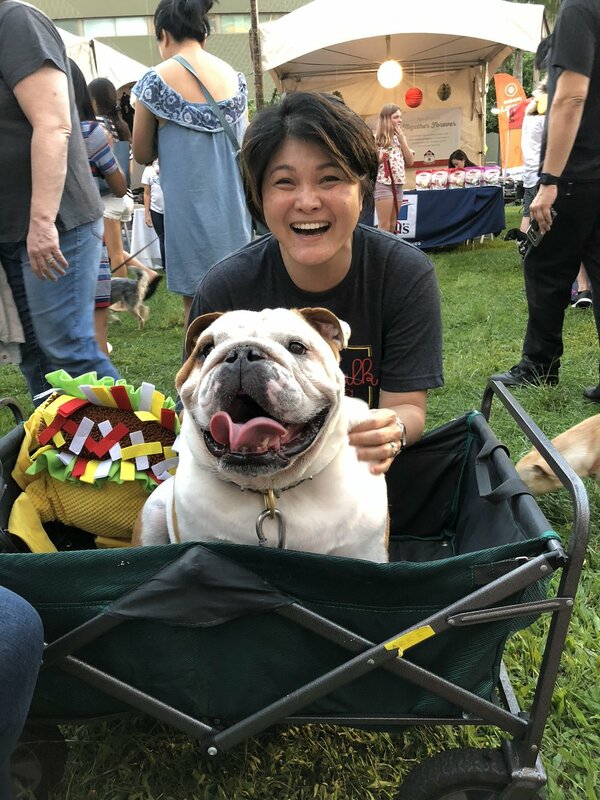 We were pleased to have our favorite masseuse Barri Sarribay working on the humans, and the ladies of Massage Paw-Wow team provide pet blessings and energy to the pets, providing healing to the animals of old age or with arthritis that visited us. 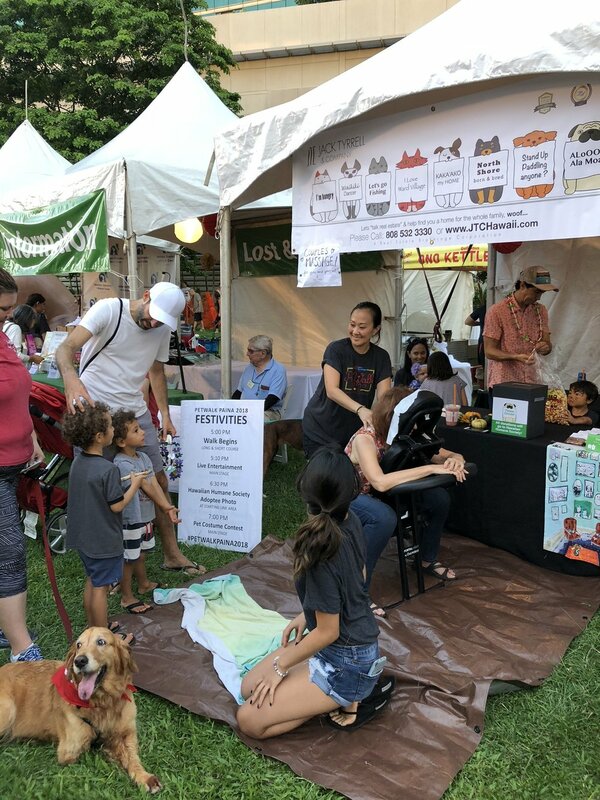 A huge mahalo to our friends at First American Title for spending the morning at the tent with us, and to our wonderful friends and clients for stopping by with your pets to talk story and take part in the couple's massage! 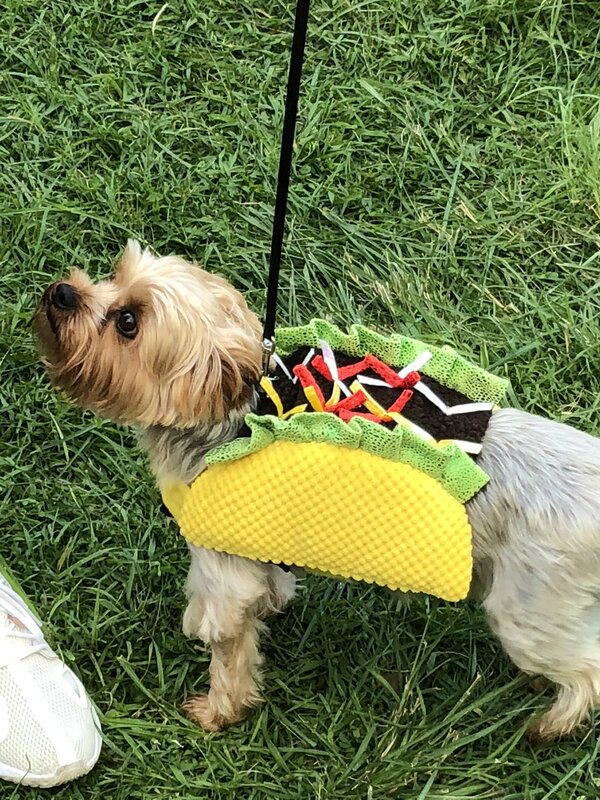 This year's Petwalk raised more than $270,000 overall. 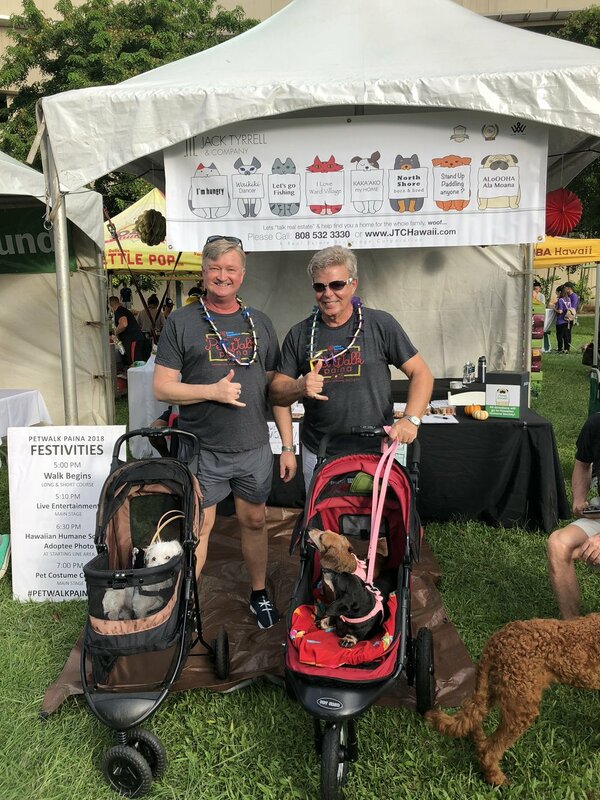 We were able to raise a lot of money directly benefiting the Hawaiian Humane Society's programs, and we look forward to next year's walk.